With hands wringing in nervousness, I get the three “what if’s” from a first-time investor. To which I ask, “what if your fears are just false expectations appearing real?” with a wink. Okay, in all seriousness, I totally get these fears. I had them when I first started out in property investing as well. But years later, this is what I have learned (and teach to my clients). 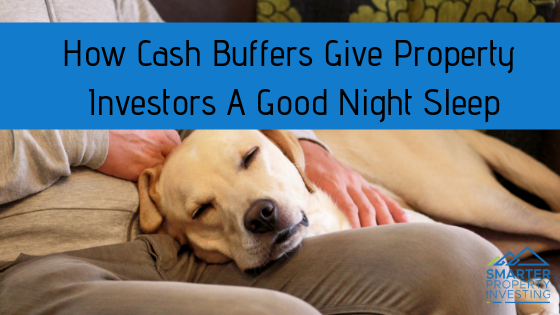 Cash buffers are king for a good night sleep! So what is a cash buffer? It’s basically a sum of money sitting in an easy to access account (often an offset account) specifically for just in case any of the above three fears come to fruition (or more commonly if you need to do some maintenance on the property). There is debate about this figure among budgeting experts but in my opinion you need three months worth of expenses ready in an offset account or similar ready to dip into SHOULD something like above happen. That means you have three months to find another job or get another tenant or similar. This means for someone who’s annual salary is $100,000, you will need $25,000. For a 1% rate rise let assume it adds another $400 to your total mortgage payments per month so another $1,200. (Obviously this is just a suggestion as different home loan amounts and rates with different lenders will result in a different answer). Therefore, we’re talking about $30,750. What if I don’t have that kind of savings? There are different strategies we can use to acquire the cash buffer you need to feel confident to invest in property – and each person’s situation is different, so my suggestion is let’s have a free chat and work out a) your exact amount you need and b) where you’re going to find it! At the end of the day it’s important to me that when my clients invest in property it’s in a safe manner that protects their lifestyle. I want the process to be exciting with no loss of sleep what so ever!